The stock dipped 5% to Rs 3,592 after the company posted a 13.6 per cent year-on-year decline in its consolidated net profit at Rs 394 crore in Q3FY19, due to higher operational costs. Shares of UltraTech Cement dipped 5 per cent to Rs 3,592 on BSE in the intra-day trade after reporting a disappointing set of numbers for the quarter ended December 2018 (Q3FY19). The company posted a 13.6 per cent year-on-year (YoY) decline in its consolidated net profit at Rs 394 crore in Q3FY19, due to higher operational costs. It had reported a profit of Rs 456 crore in a year-ago quarter. Net sales, however, grew 19 per cent at Rs 9,258 crore on YoY basis. EBITDA (earnings before interest, tax, depreciation and amortization) was up 3.6 per cent at Rs 1,548 crore, while margin contracted 2.5bp at 16.7 per cent during the quarter. Domestic sales volume jumped 16 per cent over Q3FY18. Higher fuel and energy costs, coupled with rupee depreciation resulted in costs increasing by 11 per cent over Q3FY18. Additionally, interest costs are higher due to the loans raised for the acquisition of UltraTech Nathdwara Cement (UNCL) (formerly Binani Cement), UltraTech Cement said in the release. Analysts on an average had expected a profit of Rs 527 crore on sales of Rs 8,684 crore for the quarter. Management sounded cautious on prices due to demand predominantly coming from the non-trade segment and intense competition. Analysts at Prabhudas Lilladher cut EPS estimates for FY20e/FY21e by 12 per cent/10 per cent to factor in lower margins and higher depreciation on acquired assets. “UltraTech Cement earning’s would remain under pressure in the medium term due to sectoral issues compounded by a complex integration of acquired assets of Century and Binani cement,” the brokerage firm said in result update, with ‘hold’ rating on the stock with target price of Rs 3,725. “Despite strong growth in sales volume, UltraTech Cement has reported a subdued performance in Q3FY19 mainly on account of soft realisation and higher input cost. 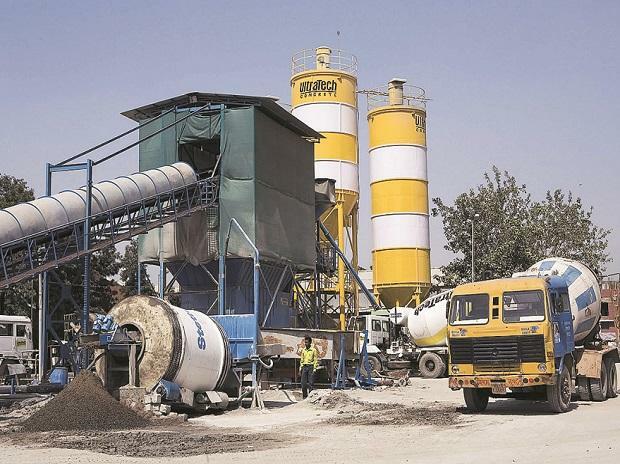 While the company expects its performance to improve from the current quarter on the back of lower fuel prices, we believe higher operating cost (for UNCL products) with minimal margin for UltraTech Cement and higher interest cost will be a major drag albeit in the medium-term,” analysts at Reliance Securities said in result update. The brokerage firm downgrade recommendation on the stock to HOLD from BUY with at revised SOTP target price of Rs 4,050 (from Rs 4,260 earlier).